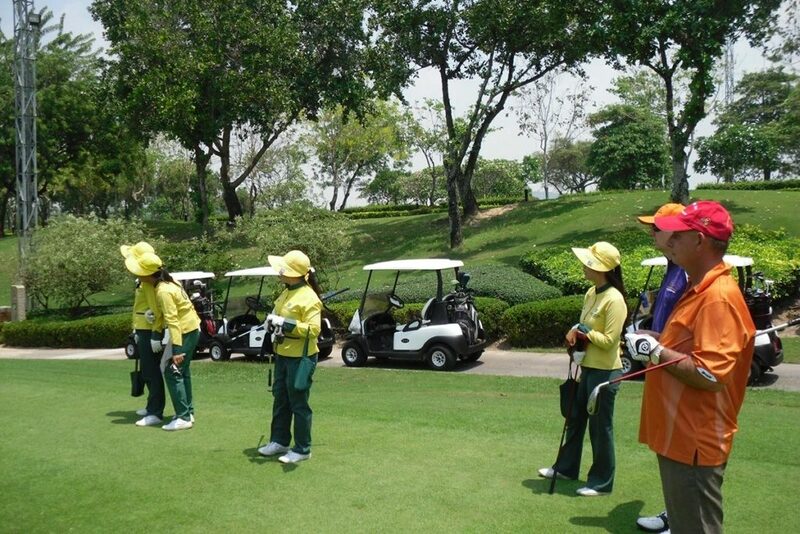 Bangkok, November 18 — Like a well-weighted putt, golf tourism in Thailand is on a roll. At its annual marketing showcase at Belek, Turkey, this week, golf tourism’s global organisation, the International Association of Golf Tourism Operators (IAGTO), named the resort city of Pattaya as Asia and Australasia’s best golf destination for 2012. Thailand itself received IAGTO’s same premier award for 2010. Two weeks ago, at the Asia Pacific Golf Summit in Pattaya, Thailand was named the best golf destination in Asia/Pacific, while Black Mountain Golf Club at Hua Hin was declared the region’s best championship course and Thai Country Club in Bangkok the number two layout to Kingston Heath in Melbourne, Australia. What other accolades await Thailand, which boasts 260 courses and the best all-round golf tourism experience on the planet? Having scooped so many awards, perhaps only those of individual golfers who come to see for themselves why golf in the kingdom is so good. 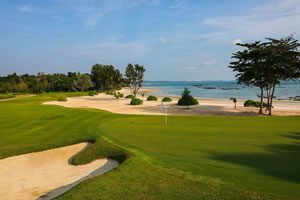 Heading the new award for Pattaya, which has 17 golf courses and is only 110 kilometres by motorway from Bangkok’s Suvarnabhumi airport, is Siam Country Club where Thailand’s first privately-owned course opened in 1970. It, too, received a major accolade at the Asia Pacific Golf Summit earlier this month by winning the best-maintained course in the region. Siam CC’s Old Course was originally laid out by Isao Mazumi and was redesigned in 2007 by Schmidt-Curley, immediately after which it became the first course in Thailand to host an LPGA event, the 2007 Honda LPGA Thailand. 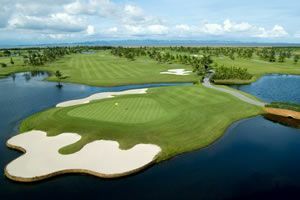 Its sister Plantation course, also designed by Schmidt-Curley, opened in 2008 and immediately hosted the Honda LPGA Thailand, won by world No. 1 Lorena Ochoa. The 27-hole layout is situated on a former pineapple and tapioca plantation and is home to Asia’s first triple green, shaped like a clover. Large ravines, multi-tiered greens, superb conditioning and spectacular views of the surrounding countryside are among many features of the course. Its sleek, ultra-modern birdwing clubhouse is worth visiting in its own right. Siam Country Club is a member of Golf In A Kingdom (www.golfinakingdom.com) a co-operative marketing group that includes Thailand’s top golf courses and leading hotels. Hotel members in Pattaya are the new, ultra modern Hilton Pattaya, situated opposite the main beach (www.hilton.com) and the exquisite Woodlands Resort, situated in a quiet location on the north side of the main tourist area (www.woodland-resort.com).